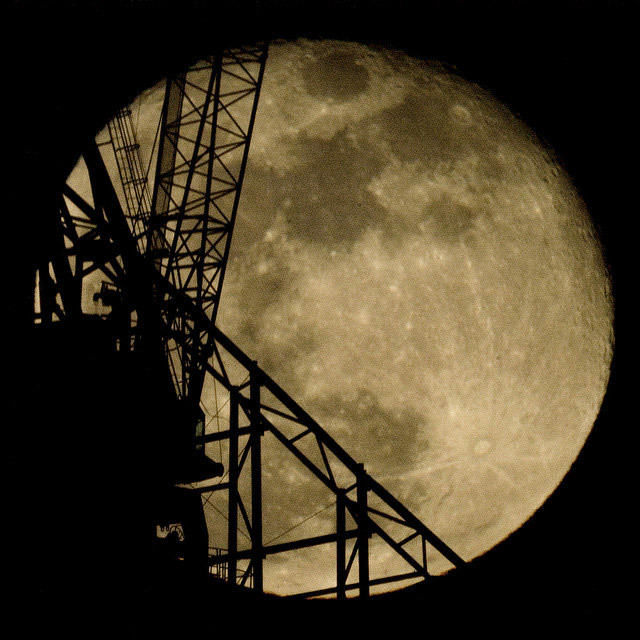 SuperMoon Set to Cause Chaos this Month? March 19, the moon will be at its closest point to Earth in 18 years, an event that is known as a “lunar perigee”—one astrologer, Richard Nolle, has dubbed such events the "SuperMoon," which means a new or full moon at 90 percent or greater of its closest perigee to Earth. And some believe this natural wonder could spell the start of a moonageddon, with extreme weather, earthquakes and floods. Was this what John Fogerty has been trying to warn us about all these years? Some believe that a bad moon is indeed on the rise: the New England hurricane of 1938 and the Hunter Valley floods of 1955 both happened during lunar perigees. And Cyclone Tracy in 1974 and Hurricance Katrina in 2005 also coincided, or came very close to coinciding, with SuperMoons. Coupled with dead birds falling from the sky, rising sea levels, and mysterious green goo, could this be the latest sign of the apocalypse? BANDA ACEH, INDONESIA (BNO NEWS) -- One person on Friday died and many were injured in the chaos that stemmed from tsunami rumors in Aceh, northwestern Indonesia, the Jakarta Globe reported. Thousands of residents in Pidie Jaya, northern Aceh, dropped everything and fled for higher ground after rumors of an approaching tsunami surfaced. In the chaos, one woman died due to a heart attack and many were injured. The chaos raised question in regards to Aceh's ability to respond to a crisis after the 2004 deadly tsunami that killed approximately 170,000 in the province's west coast. "People got scared because lots of them are still traumatized by the 2004 Indian Ocean tsunami," said Gade Salam head of Pidie Jaya district. On Friday's chaos, a massive traffic jam formed on the main road that connects Banda Aceh with Medan. The mass amounts of people that attempted to flee provoked several traffic accidents but no fatalities. "It is not clear how many people exactly were injured in the accidents, but there was utter chaos," Gade added. After investigating the false rumors, authorities called for calm and assured that the high tides were caused by the position of the moon and not by an approaching tsunami. In some villages, people ran yelling that a tsunami was coming. The media coverage of the aftermath of last week's tsunami in Japan has had residents on the edge, said Gade. Some people also panicked after water entered in some homes, which are less than 100 meters from the shore. No floods damages were reported. On the other hand, most of the people ran to the hills. In the neighboring Pidie district, one person jumped from a second story of his residence, breaking his leg. His desperate action was a result of seeing crowds of people fleeing in panic. Last week, a tsunami generated as a result of an enormous earthquake that struck off the northeastern coast of Japan left one person dead in Papua province. (Copyright 2011 by BNO News B.V. All rights reserved. Info: sales@bnonews.com. Be not afraid. Read Psalm 91. You are protected.